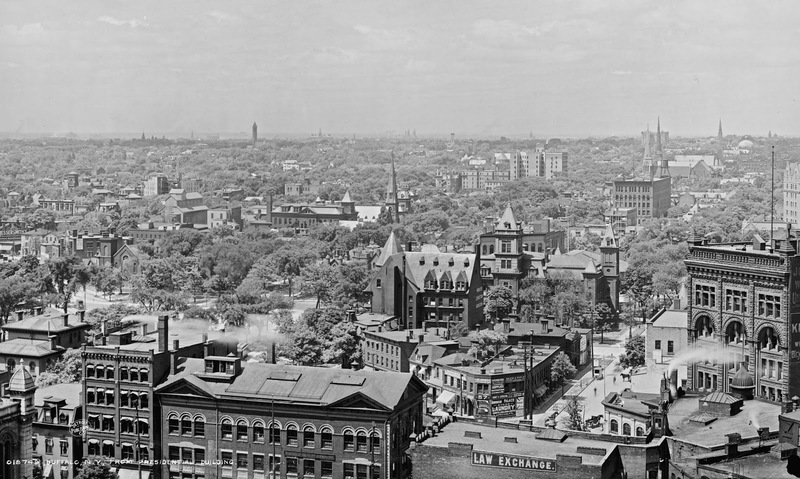 Buffalo was the first city in the state(1838) to establish a free public school system. The Central High School (above) fought to save itself from taxpayers trying to have it abolished. The original High School on this site was actually in the Burt House formally occupied by General David Burt. The homestead on Niagara Square, was the handsomest house in the town at that time, surrounded by extensive grounds and lofty elms. It was exstensively remodeled for school purposes around 1853. The remodeling had, however, entailed far greater expenditure of City funds than had been estimated. So much so that many thought the city had made "a great mistake in thus establishing the Central." However, no open or organized hostility showed itself, but a treacherous under-current of hostility ran for many years. Imagination among some of the more gloomy taxpayers "ran riot"; "a free college or university was ominously prophesied". In 1858 a rebellion of students occurred, the "Courier" classing the rebellious students as "those instigated by outsiders." The "Express", was then of the opinion that "the school is a disgrace and should be closed. " However an examination of Central School Pupils made in 1859 by the principal of the Buffalo Female Academy gave "ample testimony that the teaching was thorough and systematic." Once on the subject of "economy", a resolution was offered in the Council "that the school be abolished when the contracts of it's teachers should expire," and a petition "numerously signed and praying for the abolishment of the school was presented to the Council." From January to December of 1859, there was un-remitting effort to accomplish the utter ruin of the school. But the school was saved thanks, to some extent, to Superintendent Warren, who drafted a bill, which became law in 1861, placing the school under the supervision of the Regents of the University of the State. A financial advantage was thus gained, and perhaps that is all the opposition sought. In 1870 a wing was added fronting on Franklin St. 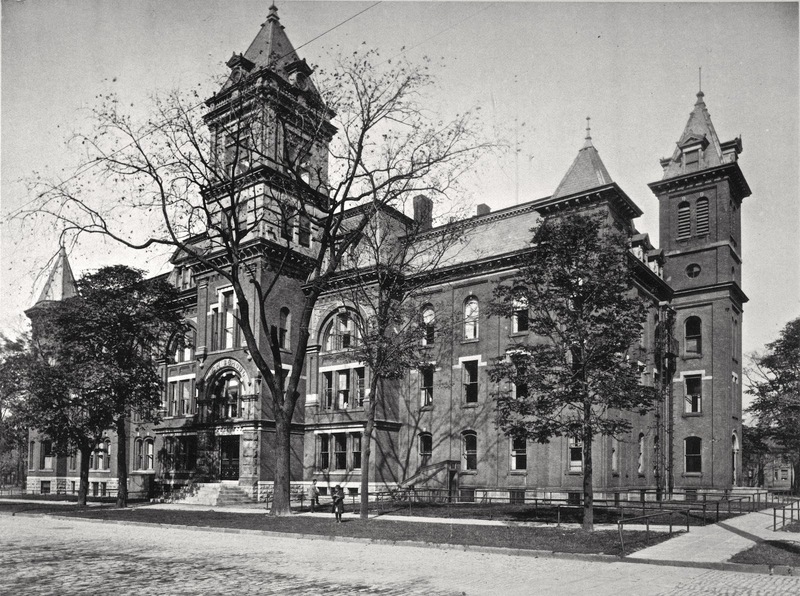 In 1885 the original Burt Building was torn down and a new brick, three story structure was built adjoining the Franklin Street wing. It served for the Central High School until 1914, when a new Hutchinson-Central High School was built on Elmwood Ave. It was the only High School serving Buffalo until 1897 when Fosdick-Masten opened. It was torn down in 1927 for the Mahoney State Office Building. in the right center of the picture.